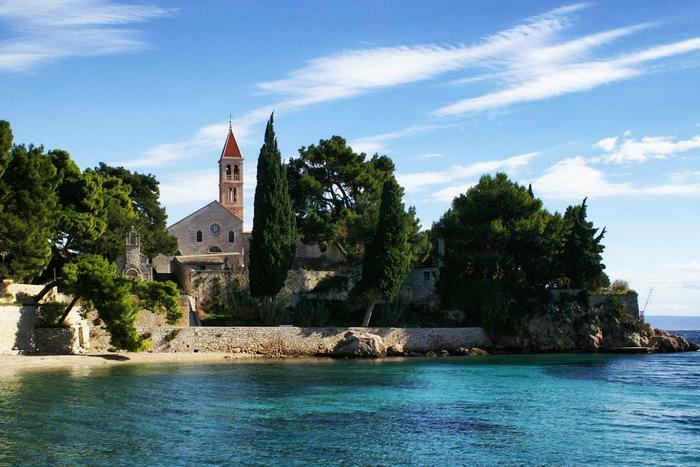 Island Brač is one of those destinations that you definitely mustn't miss while on your vacation in Croatia. Under one hour away by ferry, and half an hour away by a catamaran from Split, Brač is a common choice for a one or two day trip. 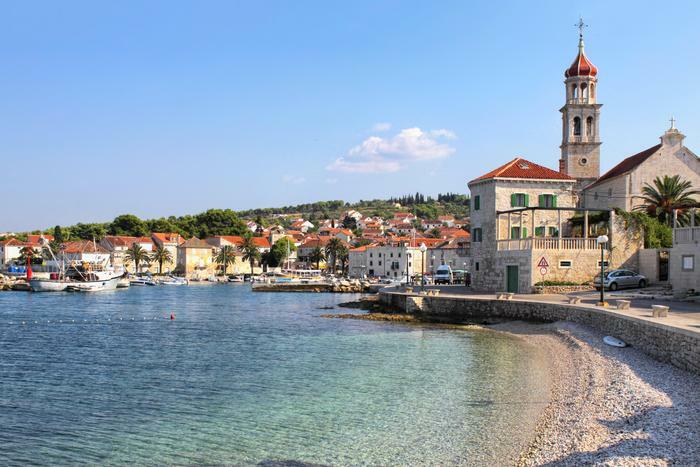 Other than the world famous Zlatni rat beach, Brač is also known for its white stone, little picture perfect fisherman villages and medieval churches. 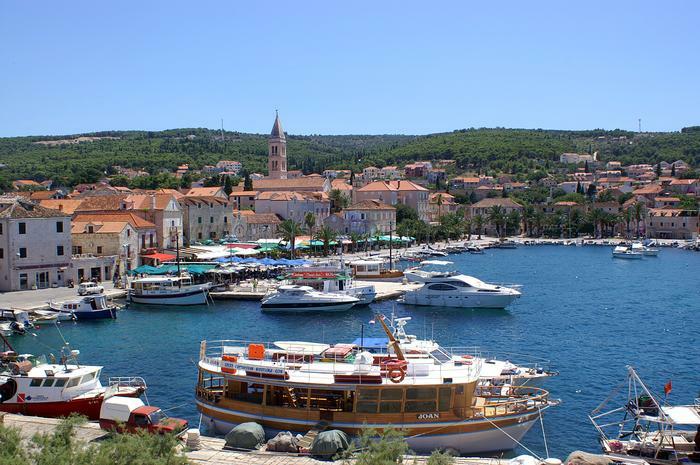 We've compiled a list of places you need to see while on Brač. If you're planning to explore Brač, pick out an apartment or a room from our private accommodation offer on Brač. There are several ways to get to Brač, depending on where are you at the moment and what is your final destination on Brač. A ferry departs from Split and takes around 50 minutes to get to Supetar, on Brač. The catamaran travels for 30 minutes to Milna, a small village on the west side of the island. You can come to Brač from Makarska with a ferry that sails into Sumartin. Keep in mind that the ferry lines off-season are scarce. Also, tickets can't be booked but can only be bought in the ferry port on departure day. The best way to come to Brač, is by taking the Split – Supetar ferry because Supetar is the largest city and therefore the centre of Brač. From Supetar one can go by a car, bus or taxies to other places like Bol, Postira, Sutivan, Sumartin or Milna. Supetar is the largest place on Brač and the only one with a status of a town. The archaic beauty of Supetar inspired the American real estate enterpreneur Jeff Blackard to build Supetar's replica in McKinney, Texas. History buffs will like Supetar because of its medieval churches, early christian mosaics, remains of a Roman villa and masoleum of a noble family. So, while strolling through Supetar's stone streets, take a look inside the 18th century church of Mary's Annunciation, built on the remains of an early Christian church. Don't miss the white-stoned masoleum of the Petrinović family built in a neobizantine style, located on the cemetary rising above Supetar. For those of you wanting some activity on your holiday, Supetar has a number of walking and biking paths. The walking path of Olive Paths (Maslinovi puti) is a 6 kilometer long trail starting in the village Mirca and throughout it visitors can see surrounding olive groves, while on the end of trail, in the village of Prihod, one can see the traditional way of producing olive oil. The Dolčevita trail leads its visitors through the green inland of Supetar and its surroundings. The trail passes through the picturesque villages Donji Humac and Dračevica, but also through different restaurants and konobas where you can taste wine, local lamb, olive oil and homemade cheese. For those of you in search of a refreshment, take a swim at the Banj cove where you can find a kid – friendly sandy beach. 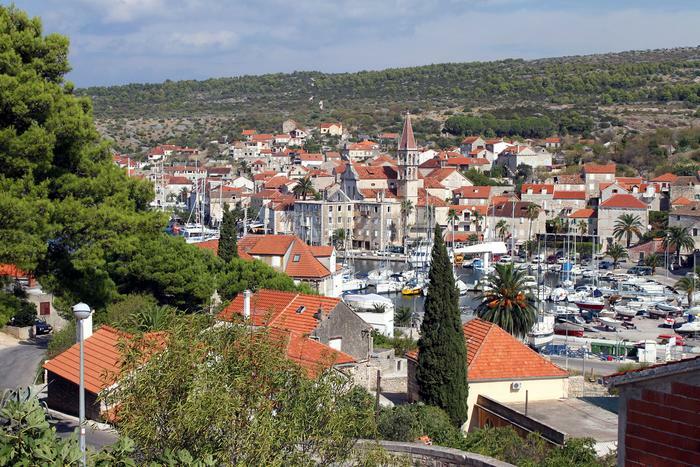 On the other side of Brač is Bol, the oldest settlement on the island. It takes 40 minutes by car from Supetar to Bol. Bol gained world fame for its beach Zlatni rat with an elongated tongue like shape that sometimes changes depending on the wind and sea currents. Because of its unusual shape and beauty, the beach is one of the most used motifs in the tourist promotion of Croatia. Be sure not to miss a dip on this fine pebble beach. Although it can get a bit crowdy during the day, with the arrival of sunset, it gets almost deserted. Take your chance and have a dip in the clear sea while enjoying the beautiful Zlatni rat sunset. If you'd rather be on a crowdless beach, take a stroll along the promenade that leads from Zlatni rat to Bol where you can take a swim at beaches Borak, Potočine and Benačica. Vidova gora, the highest peak on any Dalmatian island (780m) rises above Zlatni rat. You can get to the top by car or foot. A glorious view awaits you on the peak. 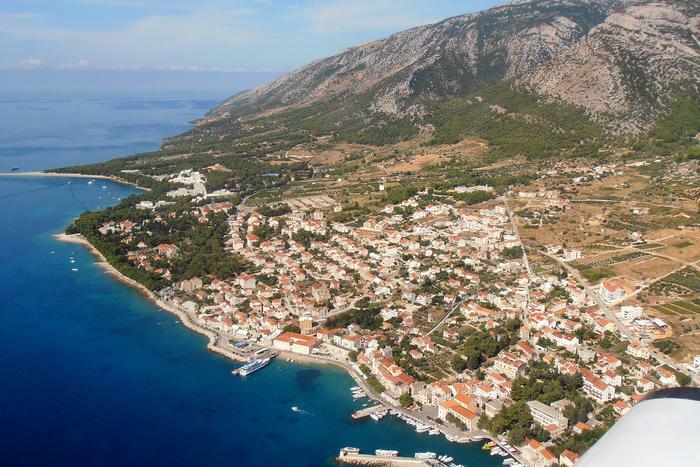 It encompasses Zlatni rat, Bol and even island Hvar. Between Bol and Milna, the Blaca ermitage, once a dwelling place of monks, is situated. Today the ermitage is a museum, with a wide array of interesting artefacts like telescopes, gramophones and even a piano that bear witness to the everyday lives of monks who have dedicated their lives to God. Of smaller places on Brač, we recommend Milna and Sutivan. Milna is a fisheman's village located on the west side of Brač. Strolling through the local promenade, discover local restaurants, coffee shops and soak in the peaceful mediterranean way of life. This little village hides some beautiful secluded coves which can be explored by diving, snorkeling or a boat which you can rent out. Milna is a nice spot for yachtsmen who have at their disposal three marinas with over 300 berths. This picturesque coastal village on the northwest side of Brač was once the centre and favorite spot of many Brač's families like the Definis, Marjanović and Ilić. Their lavish houses still decorate Sutivan. Also, there's the summer house of the baroque poet from Split, Jerolim Kavanjin that includes smaller houses and a beautiful garden. You can bike through Sutivan and its surroundings. Three bike trails begin in Sutivan: Maestral trail, Tramuntana trail and Levant trail. While biking, sightsee chapels, little churches, olive groves – a perfect way of getting to know the natural and cultural beauties of Brač. Children and animal lovers will like the Sutivan Nature Park (Park prirode Sutivan), just 2 kilometers from Milna. The park includes botanic gardens, diffrent contents for children (swings, freestones, trampoline), fish fontaine and a restaurant that serves delicious local specialties.